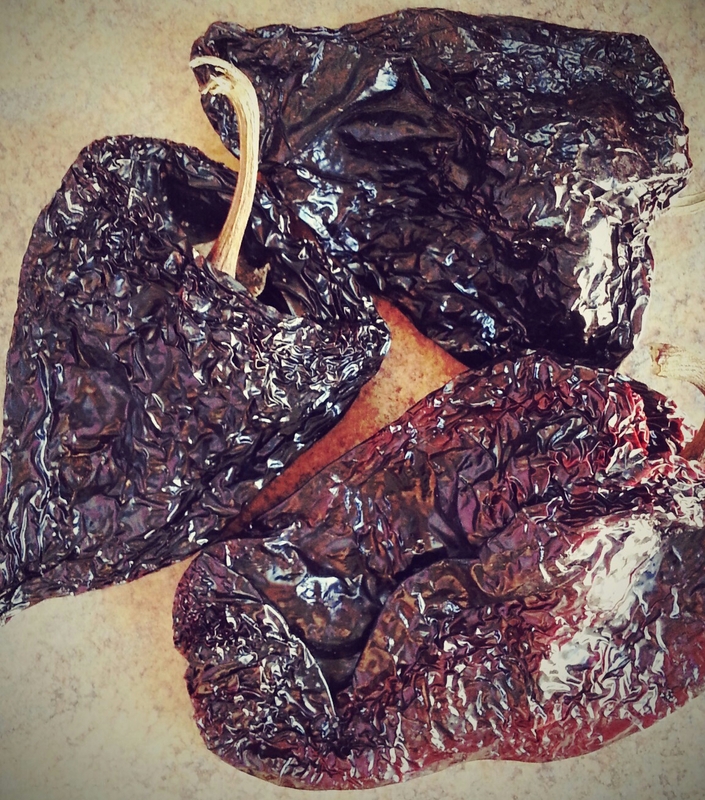 Ancho chiles are dried poblano peppers commonly used in moles, chili, and enchilada sauces. They have a sweetness and can be ground into a powdered spice or re-hydrated by soaking in hot water. The heat they carry will vary with each pepper. Weird right? Even two peppers that come from the same plant can contrast in heat. The riper and deeper red in color the pepper is when dried, the spicier. 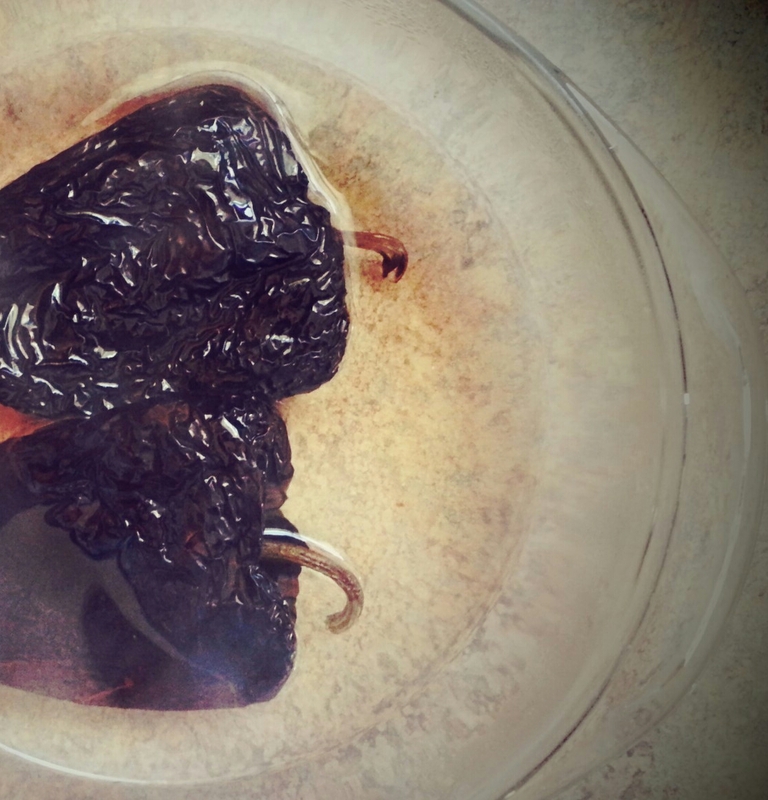 So with every dried ancho chile you use, comes a little mystery. How spicy is this actually gonna get?! And of course you can somewhat adjust the heat by eliminating the seeds. p.s. Ancho chiles pair fabulously with chocolate! Get creative! 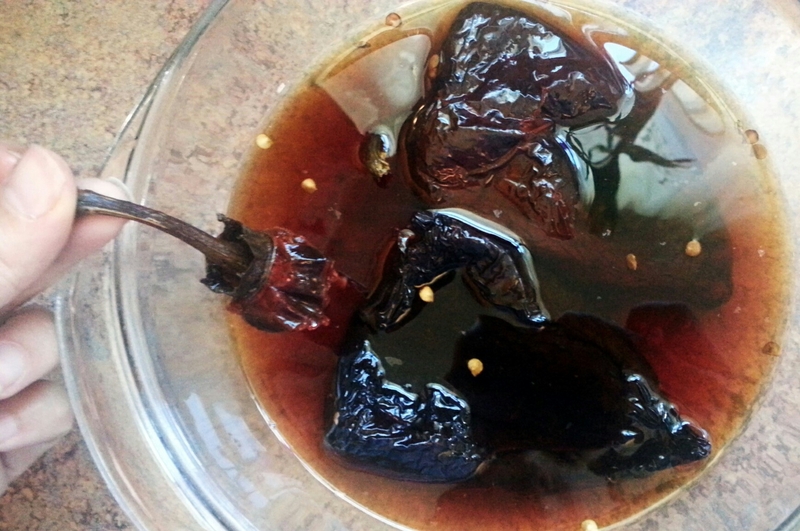 Let’s make this ancho chile paste. It’s VERY easy. First, rinse each pepper thoroughly. They are very wrinkly and can hold onto hidden dirt! After they are cleaned carefully, place the peppers in a heat proof bowl and cover with boiling water. They are going to float. Keep calm! Keep turning them (carefully) and they will soften and relax into the water quickly. 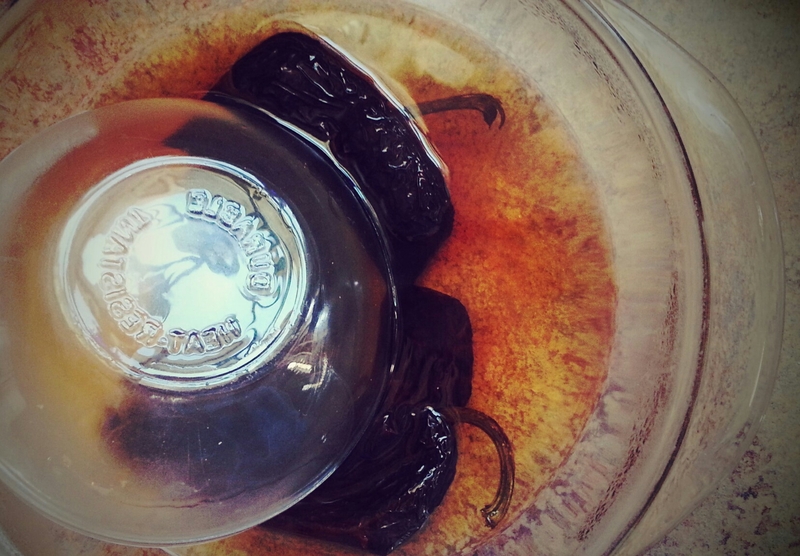 And if you’re impatient like me, place a smaller bowl or glass over the ancho chiles to hold them under the water. After about 10 minutes or so, the ancho peppers should be very soft and the stem will pull away easily. Place the ancho chile peppers (and as many as the seeds you dare) directly into your blender or food processor and puree. Save the dark and flavorful liquid. You can use a tablespoon of it to get your puree going and to thin out your ancho chile cheese sauce later (if it needs it). You can also store it in the fridge, in a covered container, for up to a week. Or freeze it and use it in replace of water for your next chili! I amaze myself sometimes! Okay okay, I’m getting off track though…this is what your peppers should look like. 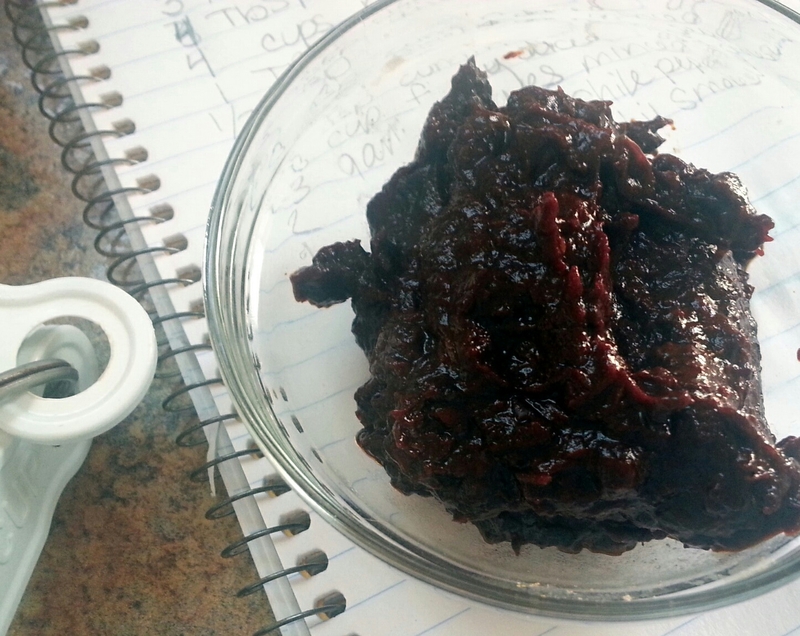 Set the ancho chile paste aside. Pre-heat oven to 350 degrees and butter 6 ramekins. 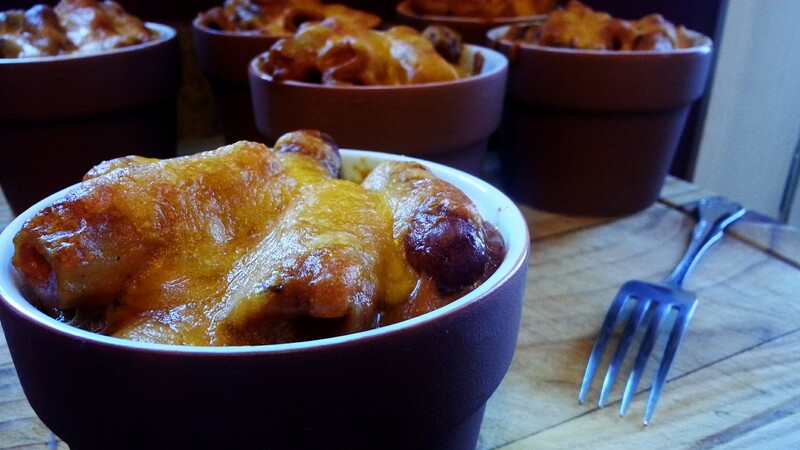 If you don’t have ramekins, yes, you can use a casserole dish. Cook your rigatoni pasta al dente. It will continue to cook when placed in the oven. Set aside. Also, because we are going to temper the eggs into our cheese sauce we need to get them at room temperature. Crack, scramble and set aside. Mince the garlic and finely dice the onion. Measure out the rest of the ingredients; we are about to get going! In a 3 quart sauce pan (or whatever size you have), bring your olive oil up to medium heat. 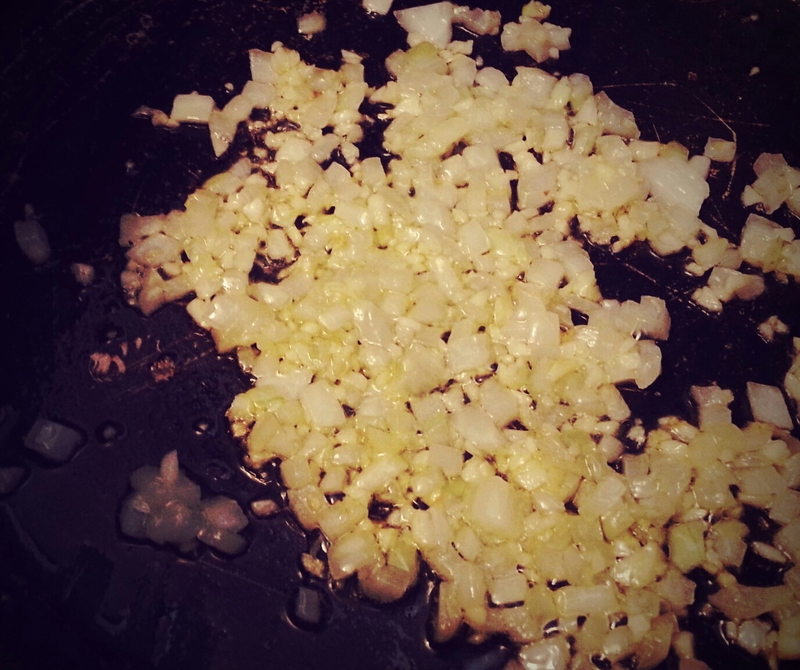 Saute the onions and garlic until they are tender and the onions are translucent. Do not stop whisking! Keep a close eye on it. Cook the flour for a couple of minutes. This is called a roux. It thickens and it’s used to create a creamy base for sauces, stews and soups. Don’t stop whisking! Add your milk and keep whisking! Don’t stop! Don’t stop, get it, get it! Keep whisking! 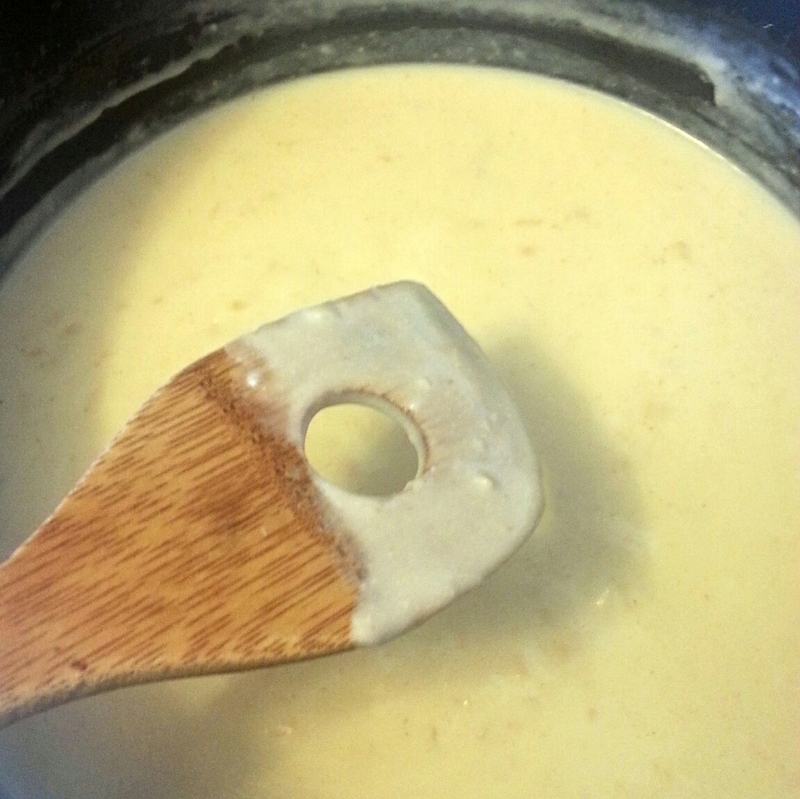 When the white sauce is thick enough to coat the back of a wooden spoon, remove from heat. Whew! That was intense, huh? You did great! This is exactly how you would make a bechamel cream sauce or basic white sauce, omitting the onions and garlic of course. Look at you go! Don’t stop, get it, get it! Throw in the ground mustard and cumin. Maybe a pinch of salt. This ancho chile cheese sauce has SO much flavor though, ya just may skip the salt! Just kidding, don’t skip the salt. A pinch goes in the pot and another one over your shoulder for good luck! Next we need to tempure the eggs into the sauce. Please don’t add the egg directly into the sauce. You will get scrambled eggs! Stir a little sauce into the bowl with the egg. Stir. Add a little more until the egg mixture is about the same temperature as the sauce. 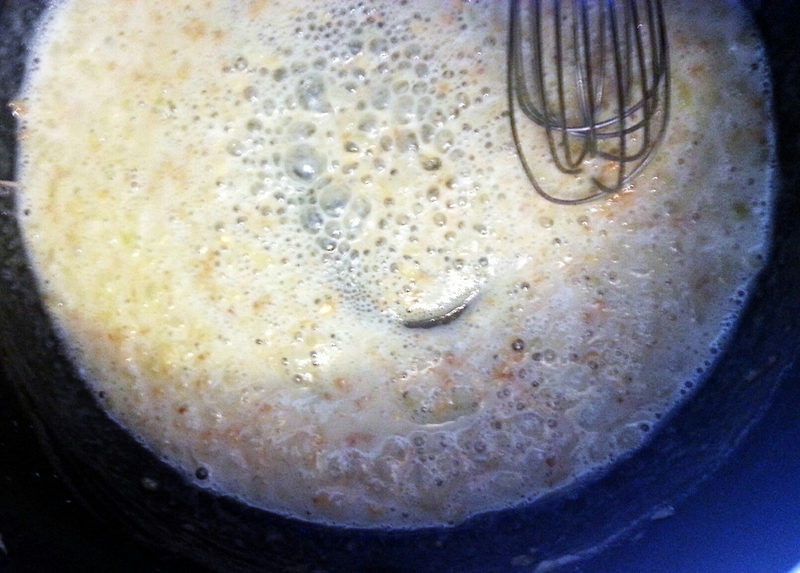 Now add the egg mixture BACK into the pot. Mix well. 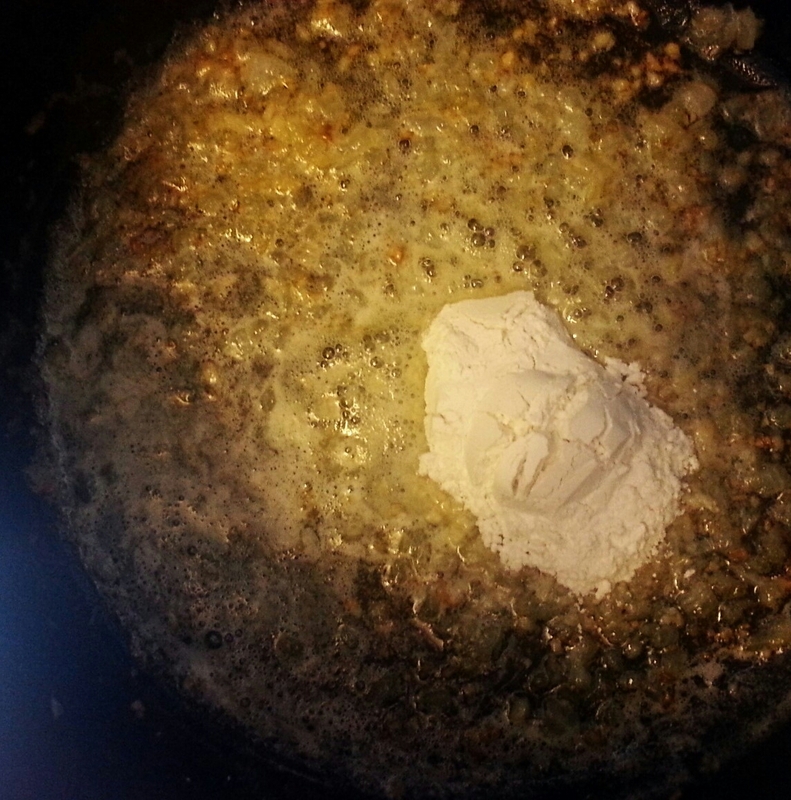 This is not part of a traditional bechamel white sauce. It will create a thicker and custard-like sauce. I do this with all of my mac n cheese recipes. It just makes it extra delicious. Ya can’t get “too delicious” around here! Stir in the acclaimed ancho chile paste and the queso quesadilla and mild cheddar cheese. You can actually use any cheese you’d like. I thought the creamy queso would accompany the ancho chiles nicely. Ole! 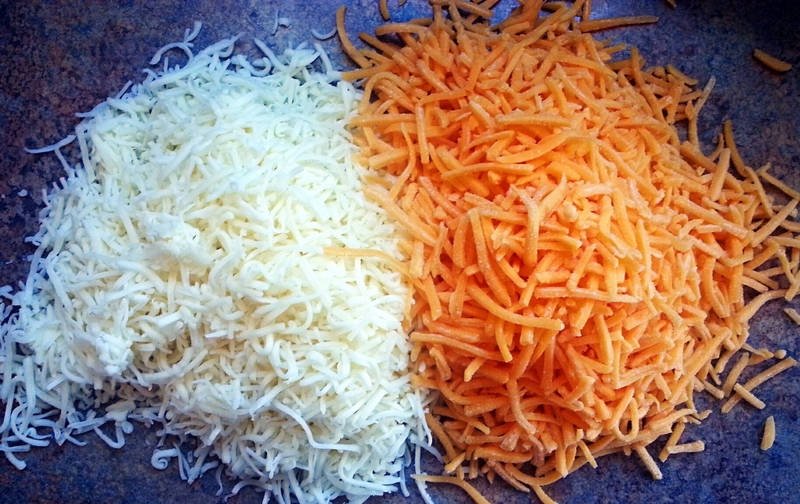 And cheddar cheese… no explanation needed! Is four cups of cheese too much? Ummm no. I love cheese and we have a very exclusive relationship. The more the better! 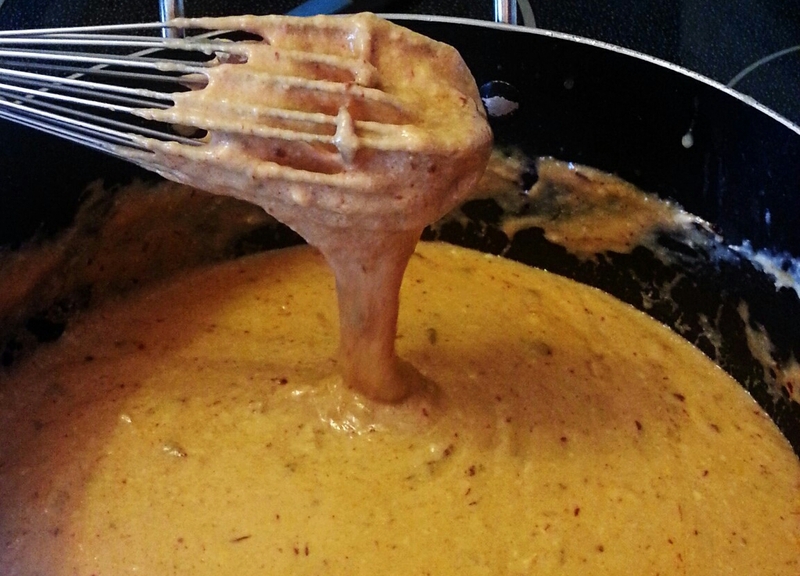 This is what your ancho chile cheese sauce should look like. It will have a gorgeous color similar to a vodka or blush sauce (pink!). Damn I’m good. Don’t forget to taste it and season to taste! If it’s not as spicy as you’d like for it to be, add some red-pepper flakes. Yay! You’re almost done! The hard parts are over! Wipe the sweat off your brow and let’s wrap it up. Fold in the cooked rigatoni noodles and the Lil’ Smokey Sausages. I know what you’re thinking. Why rigatoni? Might as well be called Rig N Cheese huh? I’ve tried them all but we prefer the rigatoni because of the wide tube-like shape. The pasta will hold extra sauce inside, maximizing the amount of perfection in every bite. We go big or go home around here! It’s also comforting to J-Wiz. The pasta and sausages are the exact same size. The world is in complete harmony. 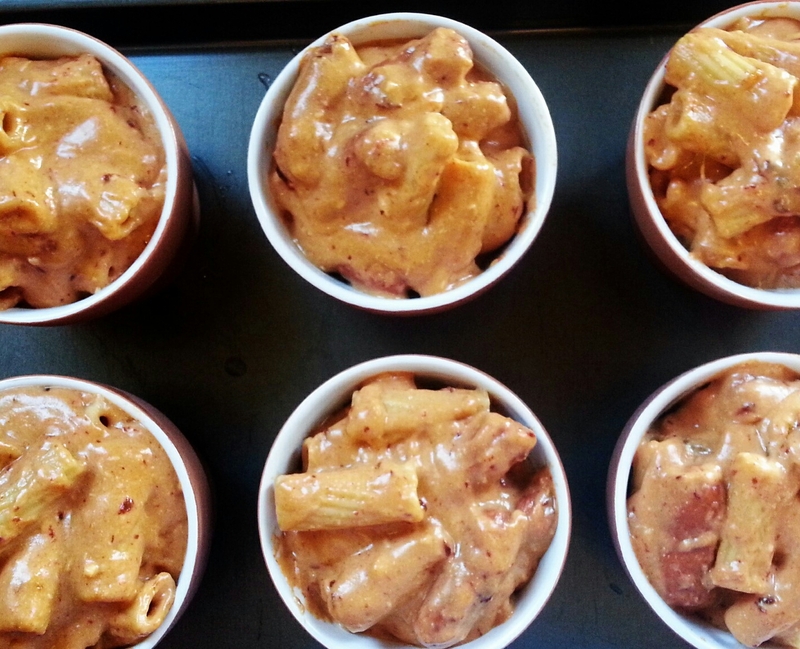 Divide mac n cheese evenly into each buttered ramekin or casserole dish. Top with some extra shredded cheddar cheese and bake for about 30 minutes. **A mixture of buttered bread crumbs and parmesan cheese would be an amazing topping as well. If you are using a large casserole dish, it may need to cook for 45 minutes to an hour (so wait a bit to top with cheese). 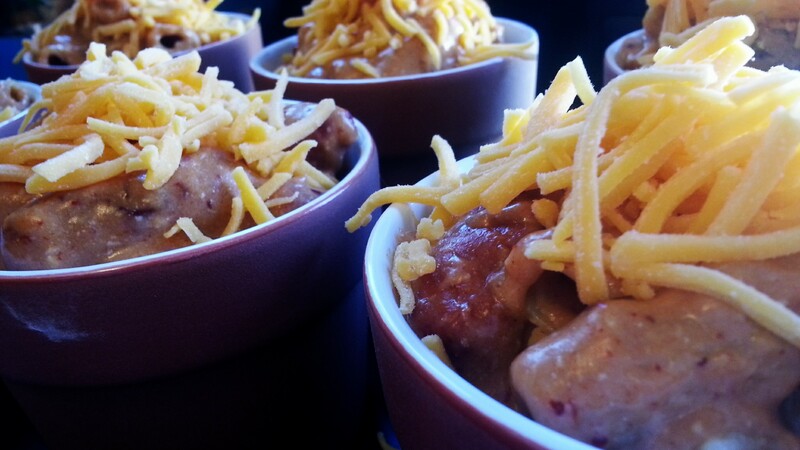 The ramekins are fun because each person get’s their own little individual Ancho Chile Mac N Cheese With Lil’ Smokies. So we can eat it out of the pan like we’re animals! Enjoy! This entry was posted in Dinner, Food, Munchies, Recipes, Sides and tagged ancho chile, ancho chiles, cheddar cheese, lil smokies, mac n cheese, macaroni and cheese, queso quesadilla, smoked sausage. Bookmark the permalink.